Customers want to receive the best value for their money. They expect an amazing food experience at every food place they visit. Unfortunately, sometimes even small failings may spoil the reputation of your restaurant in the customers’ eyes. How could you prevent this undesirable situation? Take the time and effort to conduct a professional inspection of your restaurant. This way, you will be able to detect any flaws in the business and fix them in time, before it’s too late. Take a look at 5 restaurant marketing strategies which may come in handy when you decide to audit your business. Your customers want to enjoy their meals in a beautiful setting. 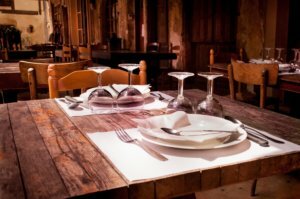 Therefore, you need to make sure that your restaurant always looks fabulous and flawless. Do not forget about such details as tidy tables and chairs, clean floors and streak-free windows. The restaurant should look amazing in reality and on the Internet as well. One of the most important points in your restaurant marketing plan should be creating a modern restaurant website. You can, for example, use the UpMenu system which will both help you with the website and make it possible for customers to place orders online. Wouldn’t you like to know why all restaurants need a restaurant website? Another important restaurant marketing strategy is to take good care of providing professional customer service. First of all, your waiters and waitresses should wear clean clothes, smile at the guests, and be polite. This is crucial because they are the ones who represent your business at that vital moment. Pay attention to the details. 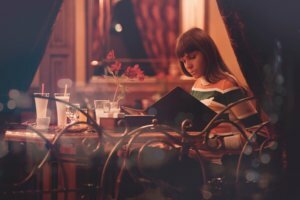 Among others – the waiter/waitress should not walk too quickly when leading guests to the table and the menu should be handed to customers within a few minutes or their arrival. Moreover, dirty dishes need to be washed (or put into the dishwasher) as soon as possible so there is no disturbing mess in the kitchen. Make sure that your restaurant is provided with all that is necessary and nothing more. Get rid of dirty, ugly, and spoiled things. Old equipment which doesn’t work ought to be repaired or replaced. Useless equipment gathers dirt and dust – it just doesn’t look pretty. Unnecessary things make your restaurant look unprofessional and have a bad influence on the customers’ experience. This is why we couldn’t afford to miss this issue in our restaurant marketing strategies compilation. 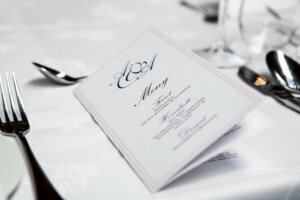 Creating the perfect menu is one of the most important restaurant marketing strategies. 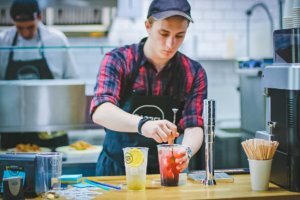 Take a look at current trends – you will get to know exactly what customers expect and then you can prepare the best restaurant management plan. For example, you might find out that 50% of people make an effort to avoid sugar in their diet (source). How to best use this information? You could offer desserts with a limited amount of sugar in order to fully satisfy customers’ needs. Just remember to point it out in the menu, for example, through the very useful UpMenu system. It is time for the last of our restaurant marketing tips – put yourself in your customer’s shoes for a moment. You will see your business from a completely different perspective. Notice what your customers can see or hear in your place of business, think what could make the restaurant even nicer. You may also ask customers for opinions about their food experience. This way you will get valuable feedback and also show guests that you actually care for their well-being. 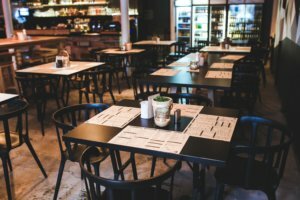 If you don’t make a regular inspection of your restaurant, the customers will do it instead. And when they notice any flaws, they will most likely leave and never come back. This is why the restaurant marketing strategies from this article are so important for your business. Astonishing interior, professional customer service, tidiness or a better menu? Which of these things are you going to focus on first? Put yourself in the customer’s shoes to see what has to be changed.